We are looking for a talented, passionate and energetic consultant to join our small but growing team. You’ll work in a project-based environment, contributing to all aspects of proposal and project development and delivery. You will have the opportunity to develop your skills as a team member and project manager. You will join one of the most experienced social impact teams in Australia, working with ambitious clients seeking to address social and environmental challenges. Research and analysis: literature reviews, stakeholder engagement, survey design and data collection, data entry, data analysis and interpretation of results. Communication: producing a range of written communications for clients including proposals and tender responses, reports, summary reports, PowerPoint presentations, data dashboards, email correspondence, reports agendas and minutes. This involves writing as well as the ability to analyse and present data. Capabilities in data visualisation will be highly regarded. Project management: contributing to client and team meetings, timeline and budget management, template and process development. You will be given the opportunity to develop your project management skills by managing increasingly complex projects with guidance and support. Business development: contributing to proposal writing and developing your business development skills through representing Think Impact at events and forums and assisting other team members. Proactive self-management: Ability and willingness to step in and provide support for other tasks as necessary. 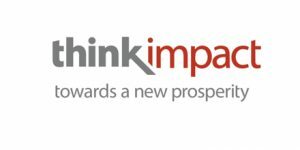 Think impact is a specialist social impact and sustainability consultancy supporting organisations to contribute to a more prosperous and sustainable world. We help organisations understand, communicate and transform the impact of their work. inclusive enterprises where our economy provides equitable access to opportunity for the benefit of all. Please quote in application: Social impact consultant via Pro Bono Australia.